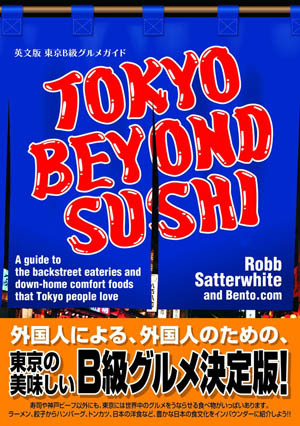 Open 5pm-midnight (LO; Fri, Sat -4:30am) daily. 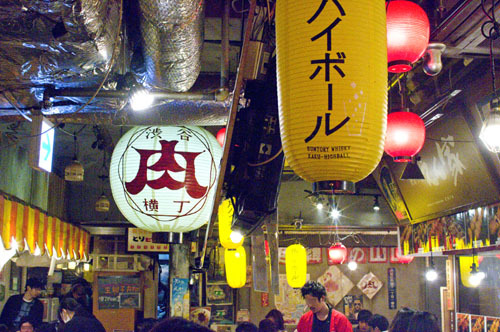 Shibuya's Niku Yokocho (Meat Alley) is a collection of more than twenty tiny drinking spots, all of them featuring meat-centered cuisine, cheap alcohol, minimal decor and a very casual atmosphere. 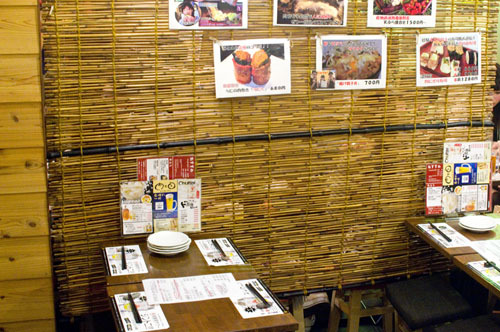 This is one of liveliest places in Tokyo for a carnivorous adventure, but perhaps the best starting point here is at the relatively placid Niku Ten no Kuni, which offers meat-based sushi and other creative dishes. The first thing that attracted our attention was a dish called "uniku." 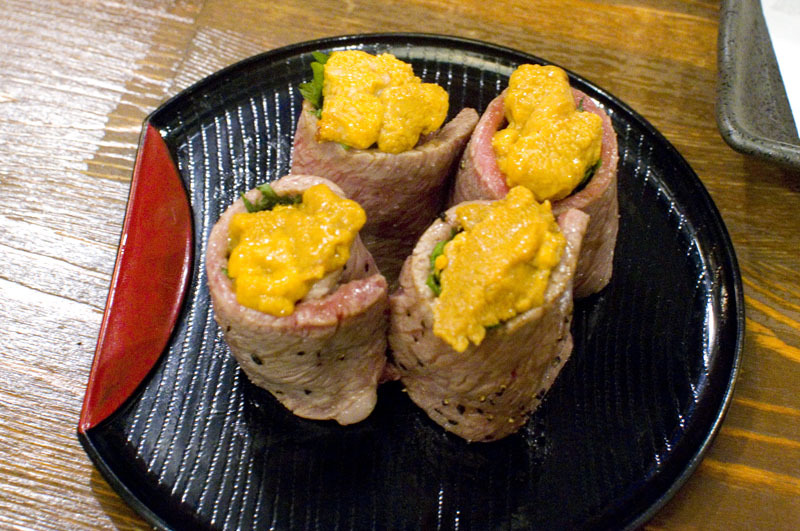 It's a sushi-sized mound of rice wrapped in grilled beef and topped with fresh sea urchin, an odd mix of assertive flavors that work well together. The menu also offers assorted sushi platters featuring various meaty morsels served nigiri-zushi style. 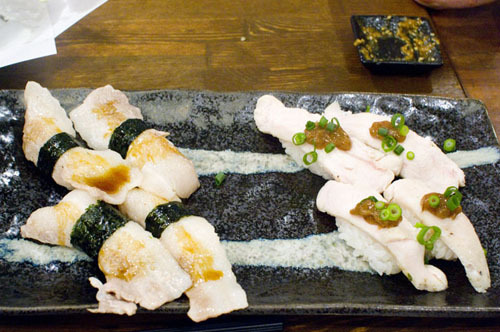 Sushi highlights include tender sasami chicken breast seasoned with a smoky plum sauce and excellent grilled pork belly (tontoro) with chives. Tempura-fried meats are another specialty of the house, and our favorite of these was a Korean-style pork served with lettuce and a spicy dipping sauce. 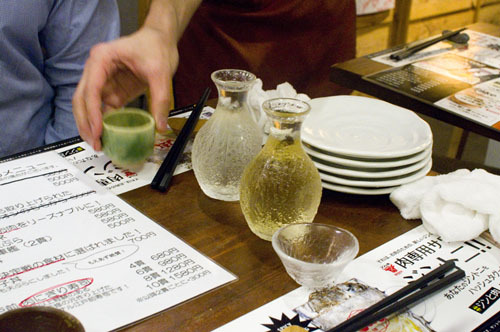 There's also a good assortment of drink-friendly small dishes such as ume-avocado, an appealing combination of ripe avocado with sour plum paste and toasted nori strips. Libations include budget shochu-based cocktails, one or two good sake, and the usual draft beer. Budget around Y2500-3500 for ample food and drink. Shibuya-ku, Udagawacho 13-8, Chitose Kaikan 3F.